WDL Systems distributes high-quality industrial computing products from a wide variety of manufacturers for the Robotics Industry and technology markets. Verticals include: Robotics, Automation, Test & Measurement, Military Systems, Medical Technology, Gaming, IoT, Transportation, R&D, Point-of-Sale and Connectivity & Networking. 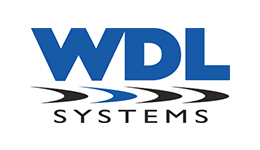 WDL Systems provides expert sales, technical support, and integration services.